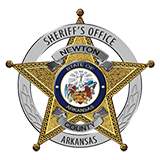 Newton County Sheriff Keith Slape said that a call from NARMC ambulance crew about an erradict driver led to arrests of a Jasper man and Lead Hill man for meth. The ambulance was behind a van on Hwy 7 travelling south and a Jasper Police Patrolman stopped the vehicle and found the driver to be DWI-drugs. Calvin Summers, 43, of Lead Hill was charged with DWI-drugs, possession of paraphenelia, possession of controlled substance ( meth) carrying a prohibitive weapon. The passenger, Christopher Walker, 24, of Jasper was charged with possession of paraphenelia, possession of controlled substance ( meth) possession of controlled substance ( marijuana) and criminal intent to manufacture. Both men are being held in the Boone County Jail on $30,000 bond on each.